Where terrorists are never hanged, but an average criminal though. Where discrimination exists at every level; in every possible ways. Where toughest job is considered to be right. Where an every hour a women still suffers from dowry. Where many lifes run till end just for sustenance. Where patriotism is in blood, but somewhere lost in gossips. My Father makes me awaken to fight against all the prejudices. Where in midst of all troubles, a common man still strives to walk on path of truth. Where in midst of all troubles, a father gives his best to give her daughter a smile. Where youths are striving to make their country proud. Where Spirits are still high and never lost for the good cause. Where a common man dares to give fight to the biggest challenges. Where a security guard shows his stick to a terrorist with AK-47 with full courage. Where martyrs are and will always be hero. Where education is right of every citizen and is free. Where spirit of unity comes all of a sudden out of blues when required. Where women are considered as Goddess. Where every child is looked as a star. Where every difficulty is looked upon as an opportunity. Where relationships are valued and last for lifetime. Where love is infinite and strangers are also loved with equal heart. Where guest is god, and humanity is above all. Where Charity is religion and "helping others" is a motto of life. 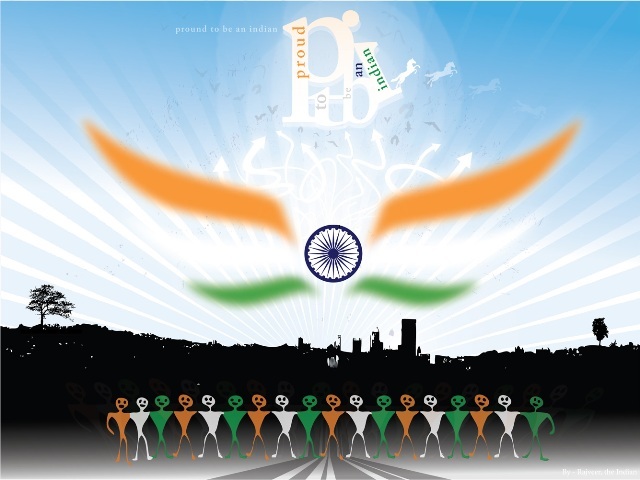 Where every individual moves a step ahead to make my country proud. 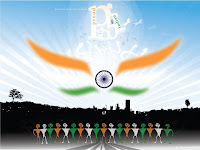 Thinking of all; makes me proud of my beloved country, INDIA…! Thank was really wonderful lines navneet ....... one must have to read it ....... really like the side B of the poem..... but side a is also true ! !